An abandoned farmhouse located in Muirkirk Ontario Canada. Image captured on an extremely overcast day during a snowstorm. the high-key appearance of the image is completely natural. 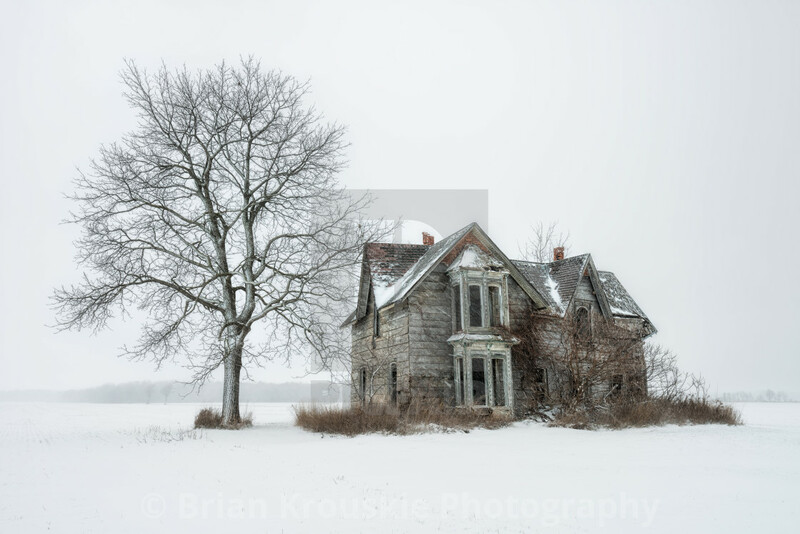 This abandoned home is a personal favourite location to visit and oozes with charm, even on the chilliest of days. The combination of this charming house and t he gorgeous tree is worth the long drive to capture.